Construction businesses of all scopes and sizes are continually searching for ways to be more productive. 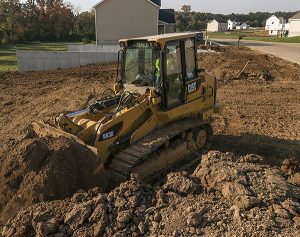 Whether you’re a small commercial contractor or busy residential landscaper, it pays to have a close relationship with a reliable construction equipment dealer. Gregory Poole has been winning the trust of hard-working industries in eastern North Carolina for nearly 65 years by providing a broad range of cost-effective and efficient solutions. As an authorized Cat® dealer, we offer exclusive access to construction equipment that sets the bar for reliability, power and durability. You’ll find an extensive array of versatile equipment ranging from skid steers, compact track loaders and mini excavators to compact wheel loaders and telehandlers. We also offer a comprehensive selection of trucks, power systems, engines and work tool attachments to meet your needs. When you’re a small and growing construction company or landscaping and home improvement contracting business, success hinges on the flexibility and output of your fleet. Gregory Poole offers access to a complete selection of general construction equipment capable of tackling a diverse range of applications and challenges. From powerful, compact Cat D Series skid steer loaders designed for working in tight and confined spaces to 1-10 metric ton mini hydraulic excavators offering the performance to dig and be productive on every job, you’ll discover everything you need to be more productive. We’re the local source for genuine Cat construction equipment and over 35 types of compatible work tool attachments. In addition to rugged machinery built to last and perform under the most rigorous environments, we also provide the largest dealer network for parts, services and technical support. From operator training to remote equipment monitoring, our solutions are focused on helping you get more done in less time. 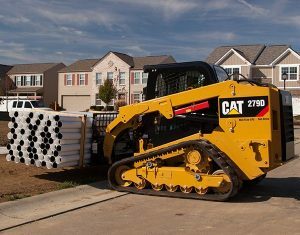 Gregory Poole offers Cat equipment for sale in eastern North Carolina. Give us a call, get in touch online or visit the Gregory Poole location in your area for more information. Making your business more profitable and efficient — We’re Built for It.